BREDA, Netherlands (AP) — Robert Dingemanse has heard the comparisons many, many times. The Jetsons, Harry Potter, James Bond. As CEO of a Dutch company developing a flying car, he’s used to curious people whose only frame of reference for his new vehicle comes from cartoons or movies. But as of this week, Dingemanse’s dream of letting commuters (albeit well-heeled ones) choose whether to drive or fly to work comes a significant step closer. He is unveiling the first production model of the PAL-V Liberty, a three-wheeled, two-seat car and gyroplane rolled into one, at the Geneva motor show. 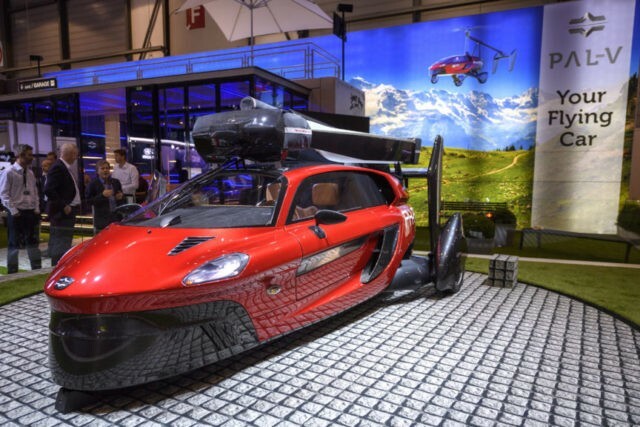 “Flying cars have been in movies many, many times and they will be available next year,” Dingemanse told The Associated Press at an airport near the southern Dutch city of Breda as he stood next to a sleek, black prototype of the PAL-V Liberty. The PAL-V Liberty is one of several flying cars in development around the world such as The Transition, a folding wing two-seater being developed by U.S.-based Terrafugia, and an all-electric vertical take-off and landing jet being developed by German startup Lilium. Carlo van de Weijer, director of Eindhoven’s Technical University’s Smart Mobility program, doesn’t see flying cars as much more than a niche market. “It’s not really going to be a substantial part of the total mobility industry,” he said. “It’s a nice gadget to combine it with a car so … it might be a successful company in selling quite a few,” he said of the PAL-V.
Its makers say the PAL-V will drive at up to 170 kilometers per hour (105 mph), fly up to 180 kmh (110 mph) and can fly about 500 kilometers (310 miles) on a single tank of regular unleaded gas. Land it and the rotor and propeller fold away, the tail retracts and the PAL-V is ready to drive. Switching from road to aircraft mode takes about 10 minutes including performing the necessary checks, the company says. With a price tag expected to be around 500,000 euros ($615,000) for the first production run of 90, the flying cars are not for everybody, but Dingemanse said he has plenty of buyers lined up. They will have to become certified gyroplane pilots to take their PAL-V into the sky and the company is offering training courses, too. Just don’t expect this flying car to lift off vertically if it gets caught in a traffic jam. The PAL-V needs a short runway or grass airstrip to take off and land. With the first production model of the car now ready, the company can begin the final stages of certification with road and aviation authorities in Europe and elsewhere. 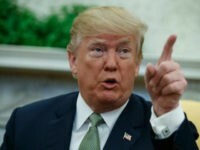 The U.S. Federal Aviation Administration said it is constantly working to integrate new technology into its regulations. “Urban mobility technology is highly promising and we are vigorously working towards the development of policy and regulations to support it,” the FAA said in a written response to questions from AP.